What happens when the Doctor meets their future self? Excited exclamations, that's what! 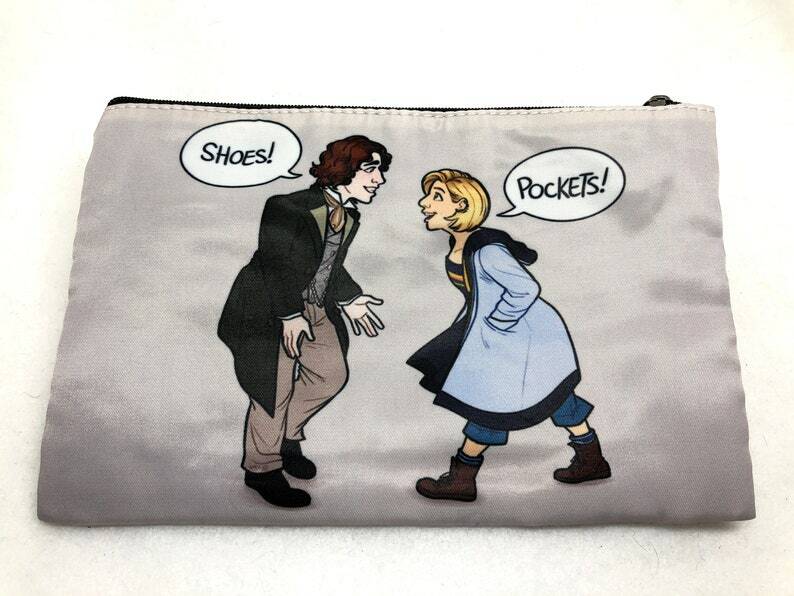 It's bigger on the inside, and will store all your goodies, whether you use it as a pencil case, a loose change pouch, or a make up bag. You will receive ONE pouch of the 8th and 13th Doctors meeting each other. Items in photographs meant to show scale and function. Love this item! It is very well made and it even has a little zipper pocket on the inside. Thank you!